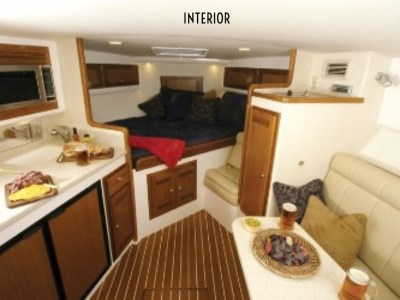 Sundance is a thirty one foot Cabo Express that has a spacious and luxurious cabin. 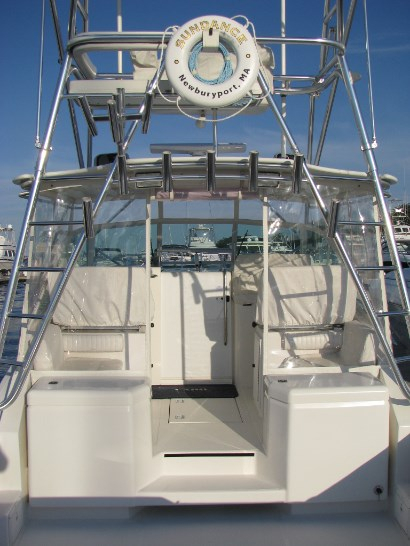 Her large cockpit area has built in coolers, live bait well, and under deck fish compartments. Plenty of room to fight the big ones or just stretch out and relax. 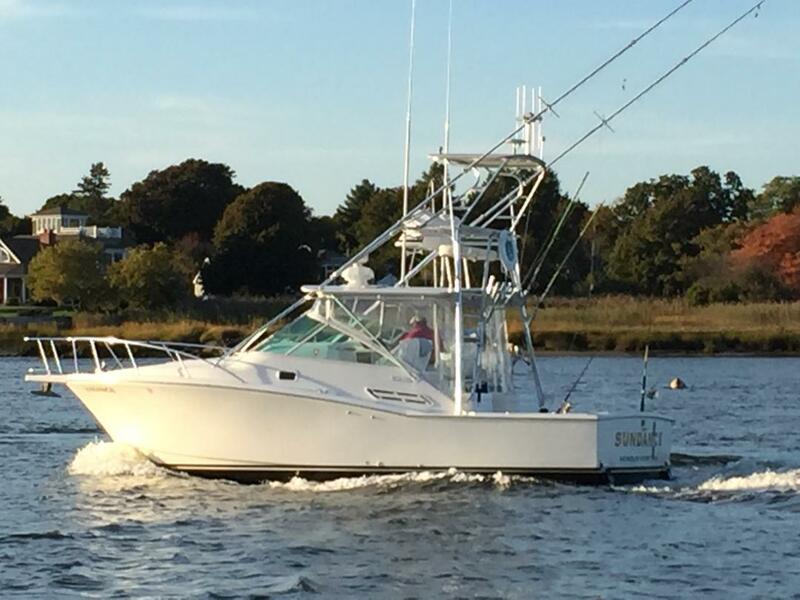 Her J&J "tuna tower" allows us to target fish off in the distance and gives spectacular views. 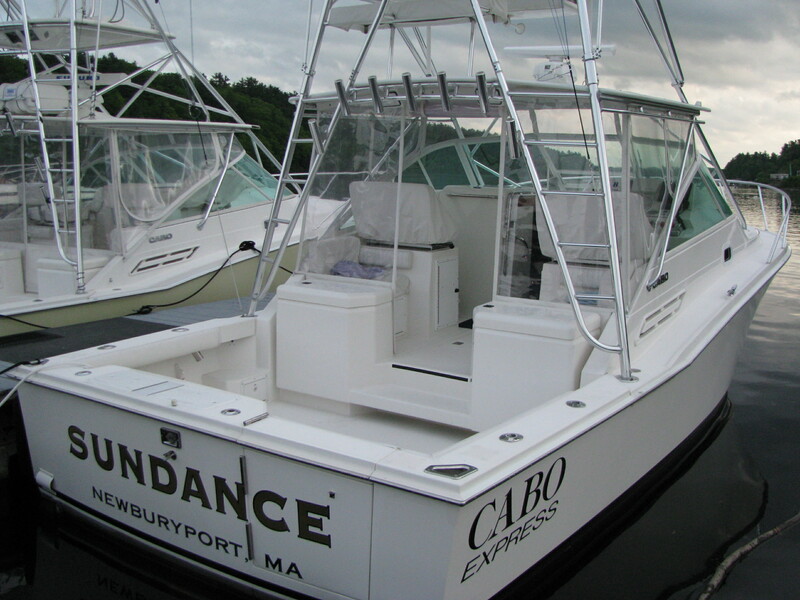 Fast, safe, and dependable Sundance is the finest of the Newburyport fishing fleet. 700 H.P. 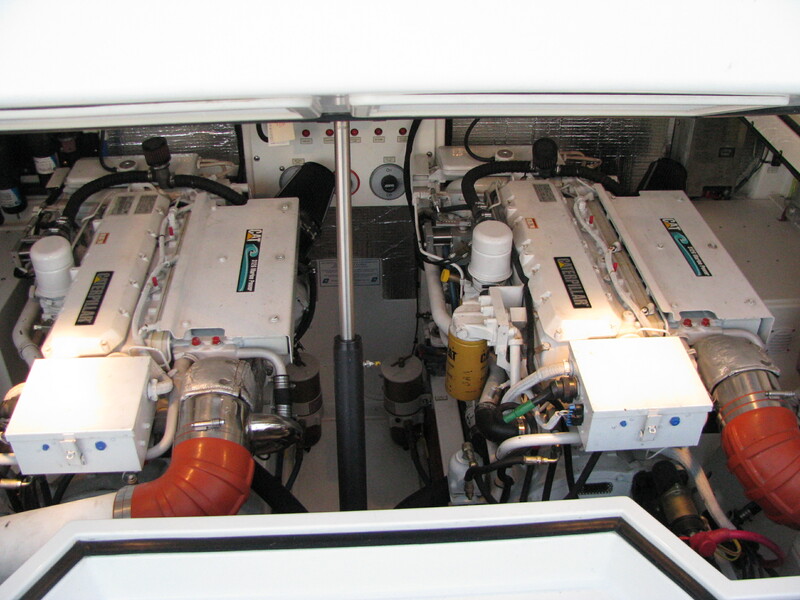 CAT diesel engines. Full head (bath) with hot & cold water. Galley with Microwave & Refrigerator. Salon sofa, 500 Watt IPod ready Sony stereo, Digital TV/CD ready. J&J Tuna Tower , Lee Senior Outriggers, Second tower helm station. Tournament rigged with Penn Spinning, VSX 16's, and 130 Internationals. VHF radios, GPS, RDF, Radar, Color Sonar, and Autopilot. 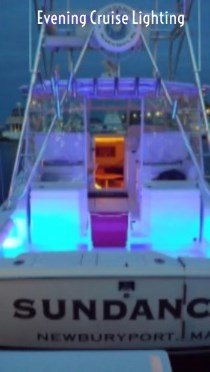 Cabo Yachts are legendary. 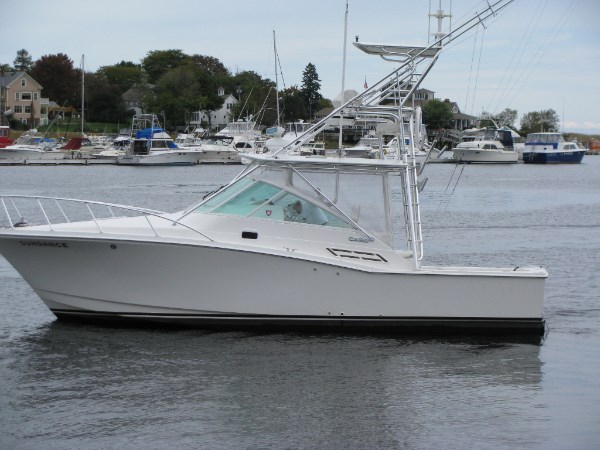 Made with the highest quality materials and craftsmanship these boats are designed to perform in any sea condition. 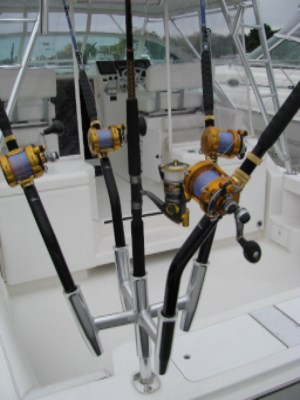 Famous for their smooth ride and innovative design they provide a fishing experience like no other! 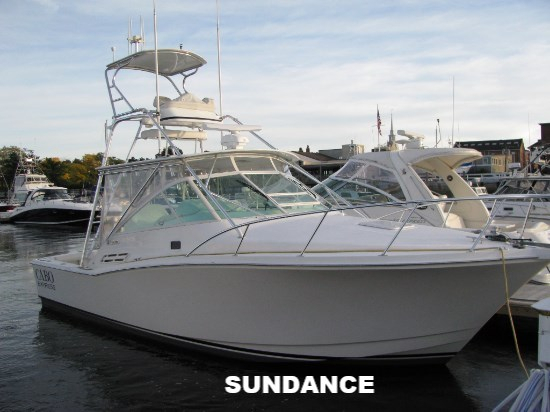 Sundance provides the comfort you expect in a private charter! Our seasoned crew spends hours to prepare for your day. 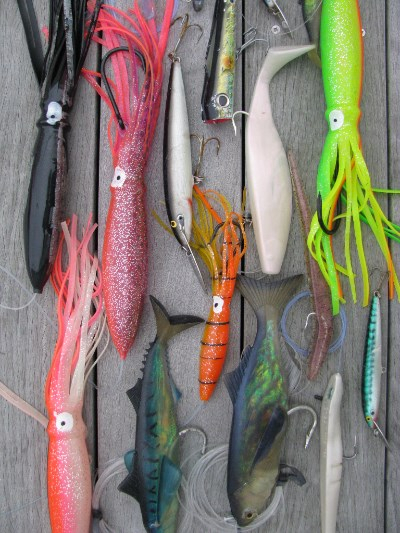 Ice, bait, spring water, and tournament grade tackle is on board for every trip. 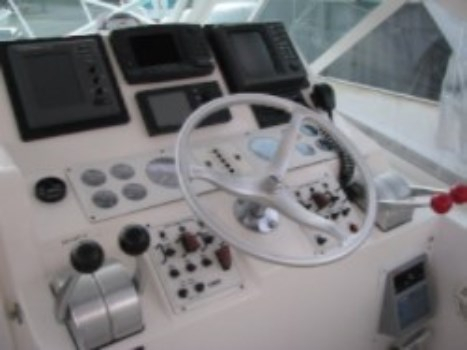 Lower helm station with touch screen GPS, Color SONAR fishfinder, RADAR, Autopilot, VHF radio, and Digital RDF.